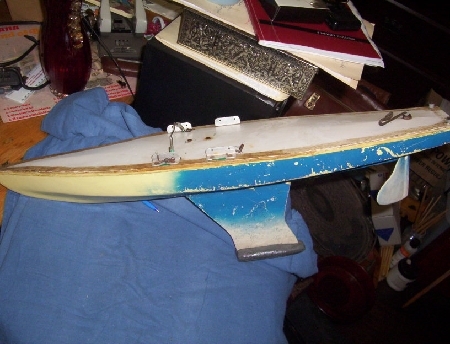 A lovely large vintage pond yacht hull, with lead weight at bottom, rudder, and attachments for steering, but no sail. Measures 74 cms long, with a depth of 20 cms and width of 17 cms. this would provide a suberb base to build a full pond yacht. 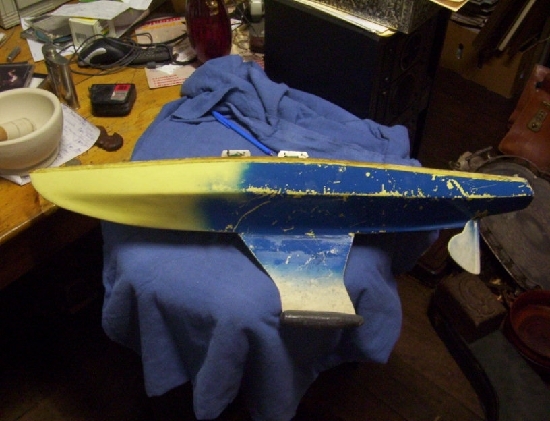 Made of wood, resin and lead. 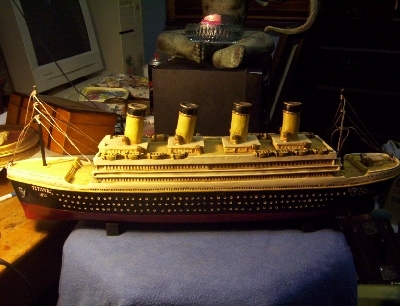 This is a resin and/or wood (probably a combination) model of the famous Titanic ship...there are two supports underneath so this can sit on your mantle...it is in very good condition...juyst needs a clean...and is about 63 cms long and 20 cms high. 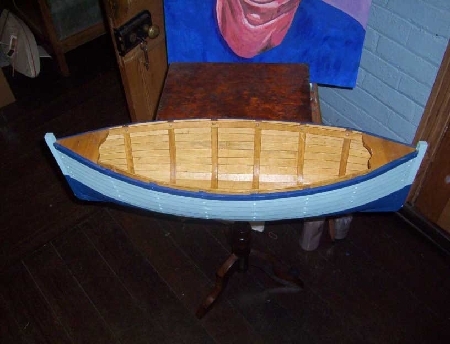 A large wooden boat...measuring 84 cms long....that is, nearly 3 feet long. Would look great in a boys room or in a beachhouse.